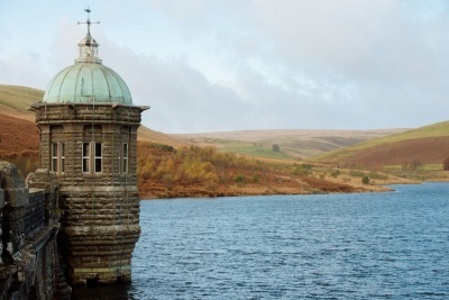 Tir Coed is currently launching its brand new LEAF project funded by Big Lottery Fund, Natural Resources Wales, The Rank Foundation, The Tudor Trust, The Ashley Family Foundation, Community Foundation in Wales and Elan Links: People, Nature & Water. The LEAF project spans Mid and West Wales and will create opportunities for people to access bespoke well-being woodland activities, woodland skills training courses, week-long intensive training in sector specific activities, mentoring, work placements and support for fledgling woodland enterprises. The LEAF project is designed to enable deep rooted change in each person’s life, offering bespoke progression that works with the skills and aspirations of the individual. LEAF is an exciting project for Tir Coed developed over the past 3 years in consultation 130 referral organisations, over 1000 beneficiaries, and 50 freelance tutors. This project brings in the expertise of 16 key partnership organisations across environmental, cultural and therapeutic sectors. Check out our calendar for more information on how to get involved. Elan Links is a £3 million Landscape Partnership Project funded by the Heritage Lottery Fund between Elan Valley Trust, Dwr Cymru, CARAD, Natural Resources Wales, Rhayader 2000 and Tir Coed which will safeguard the unique and special heritage of the Elan Valley, whilst increasing enjoyment, education, training, and recreational opportunities for the benefit of all. Linking into the wider themes of the project there will be apprenticeship opportunities, work placements, and further training. 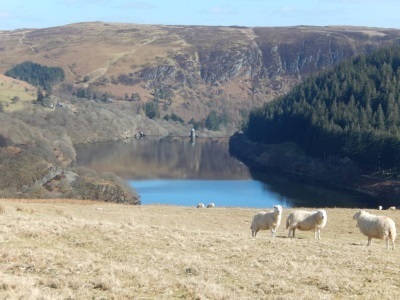 Elan Valley will also be one of the delivery sites for the LEAF Project. Tir Coed has secured LEADER funding to pilot the Dysgu am Goed (Teaching Trees) programme in Ceredigion. Dysgu am Goed will be made available to 44 schools across Ceredigion. Dysgu am Goed is a partnership between Tir Coed and Royal Forestry Society. Active Inclusion is an exciting new initiative for Tir Coed aimed at young people Not in Education, Employment or Training (NEET). Over the 2 years Tir Coed will offer week long training courses that are aimed at supporting young people to access education, employment, volunteering, self-employment, supported employment and training. Tir Coed will run 4 Intensive Training weeks per year across Ceredigion and Pembrokeshire. The Active Inclusion Fund is managed by Wales Council for Voluntary Action (WCVA) supported by funding from European Structural and Investment Funds. Tir Coed will be delivering a woodland provision for the Cynnydd Project in Ceredigion between April 2017 and February 2019. The Cynnydd Project aims to support young people between 11 and 24 to improve their school attendance, attainment and behaviour and help them gain skills and qualifications that will help them gain employment in the local area.